MainOpEdsWho is the real owner here? Raed Salah knows that allowing Israel to require Muslims to be checked before ascending the Mount means Jews are the proprietors. During one of the previous cycles of Muslim violence in Jerusalem, Sheikh Ichrima Zabri, then Mufti of Jerusalem and Falestin, declared: "We are the owners here!" He was referring to the Temple Mount. That declaration accurately sums up the Muslim problem in all of Jerusalem and particularly on the Temple Mount. It should be noted that this is the accepted, not extremist, Islamic approach. Muslims believe that Islam, not Judaism, is the proprietor of Jerusalem and the Temple Mount. This is what lies behind the Muslim refusal to go through metal detectors placed by the police at the Temple Mount entrances. Allowing Israel to require Muslims to be checked along with everyone else ascending the mount proves that Israel and the Jews are the proprietors. Muslims are incapable of accepting this – they believe Judaism is a "fake religion" (Din Bat'l) and only Islam is the "true religion" (Din Chak). Jews can only live under Islamic protection as "dhimmis," with limited rights, most definitely not including the existence of an army and police force with the power to tell Muslims what to do. Islam came into being in order to dispossess Judaism and everything that once belonged to the Jews. That is how the Land of Israel became "Falestin," the Temple Mount turned into the "Al Aqsa Mosque," the Patriarch Abraham became the first Muslim and King Solomon is said to have built a mosque in Jerusalem. Jewish presence and activity in Jerusalem and on the Temple Mount are perceived as Judaism's return to the status of a living, breathing religion. Muslims who realize the theological challenge this poses are unable to deal with it. The only way Islam can live with Israeli sovereignty is by recognizing that Israel is strong and invincible, so that any attempt to overcome it is sure to end in defeat. This recognition can lead the Muslims to agree to a temporary cease-fire with Israel (Salaam in Arabic), one that will last as long as Israel is strong, dangerous, and invincible. The possibility of a permanent European-style peace with the Jews does not exist in the Middle East, meaning that only power and a willingness to use it will give Israel a temporary peace that will last forever - that is, if Israel is invincible forever. The current wave of violence began when two Druze police officers were murdered in Jerusalem by three Muslims from Umm el Fahm last Friday. Most Druze men serve in the IDF and in the Border Police, causing them to be seen by Muslims as members of a heretic religion. The Druze are fully aware of what would happen to the neck connecting their head with their shoulders if extremist Muslims ever gained control over them. What has happened to the Druze in Syria is proof enough. As a result of the police officers' murders there were a few attacks on Muslims perpetrated by Druze, and the tension was palpable in villages where the population is mixed, consisting of both Druze and Muslim residents. Sheikh Raad Salah, head of the now-illegal Northern Branch of the Islamic Movement, lives in Umm el Fahm, the home of the murderers. 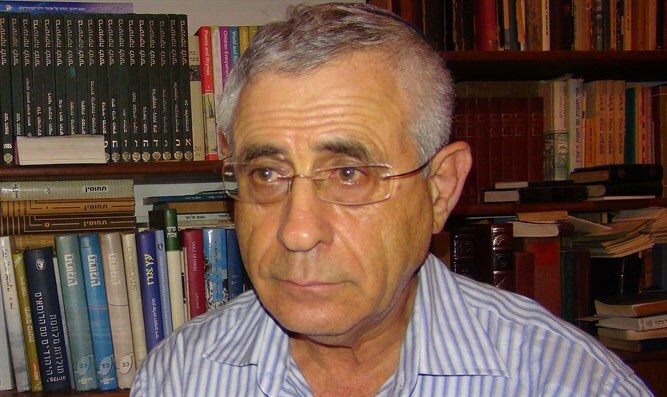 He expends much effort on attempts to damage the relationship between the Druze and the State of Israel, hoping to convince the Druze to leave the army and Border Police, joining the anti-Israel Muslims instead. Last week's murders led him to pen a letter to the Druze community, brought here with my comments in parentheses. The Sheikh addresses the Druze community by the respected title "Bnei Maarof" - people of loving kindness – and not by the title with which they describe themselves "Avna al Tawhid" – the unique people - which would grant them legitimacy in the religious Islamic world. "We wish you (the Druze) and ourselves (the Muslims) the ability to live as one society based on pure Arabism and the sense of belonging to the real Palestine . We would like both of us to build, for our children and grandchildren's sakes, a joint present and future that will guard the land, our homes and holy sites for us and lead to development, happiness and civility for each family. We would like both of us to call for socially peaceful relations and positive interpersonal communication and interaction, free of blind, senseless incitement and merciless struggles between brothers. "In my books 'The diary of a prisoner,' 'Life in solitary,' and 'Purposeful persecution' I tried to stress that we must built a mutual future for both of us, positing that you are part of the society that brings us together, part of the everyday life of (Israeli Arab) society stretching from the Galilee and the Carmel to the Triangle, the Negev and the coastal cities (i.e.Jaffa, Haifa, Lydda, Ramle). We do not want anyone to be a piece of wood stoking the fires of occupation in the West Bank or the beautiful Gaza Strip (under Hamas rule), the blessed city of Jerusalem and al-Aqsa or any other place. "The reality in our lives is Israeli racism, persecution and discrimination against us (the Muslims) and you (the Druze) in equal measure. Let us not, then, allow the Israeli occupation to come between us. "Our language, the Arabic language, is the same, our values and yours are based on honorable moral behavior, our daily lives connect us in Shfaram, Rama, Babu Snan, Maghar, Horfesh, Albukiah and other places. This is the foundation we must preserve, while (your) connection with the Israeli occupation (of 1948) is the exception. We must not allow the exception to overpower the natural way things should be. "I am sure that if you examine Sultan Pasha al-Atrash's will (the Sultan was a Druze leader in Southern Syria who rebelled against the French occupation in 1925), you would find that it calls for exactly the same thing I am saying. I am sure that if you check the memoirs describing our relationship at different times during the last few decades, you would realize that they, too, call for the same. "I turn to myself, to the "Bnai Maarof" and to all the sectors in our society "inside Falestin" (term referring to 1948 Israel), with all the religious and political difference between them, to continue the conversation, to organize meetings so that this call can become the basis for a realistic plan for the rest of our lives." So reads Sheik Raed’s letter. He apparently relies on the short memories of those Druze who have adopted the Palestinian narrative in recent years. His problem is with most of the community which remembers well the attitude of the Muslims to the Druze throughout their community’s 1,000 year history, and knows exactly what will happen to that community if it is forced to live at the mercy of an Islamic ruler like Raed Salah. Interestingly, Raed Salah also distorts history for his own purposes: Sultan Pasha al-Atrash led the Druze revolt in 1925 against the French so that they [the French] would not tie the Druze community to Syria because he was concerned, and rightly so, about the Muslim's terrible treatment of the Druze and he wished to preserve Druze autonomy as it had been under Ottoman rule. 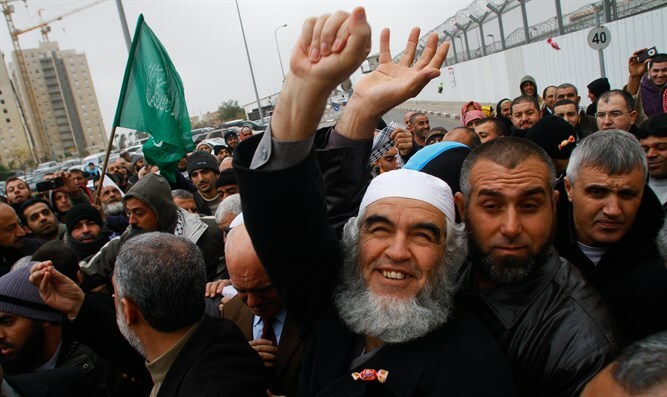 Today, Raed Salah thinks he can use al-Atrash's name to convince the Druze to identify with the Muslims. And I would like an answer to this question: After Raed Salah's [Islamic] Movement was outlawed, how is it that he has the right to spread his public slander? Why does the State of Israel not prohibit him from freely spreading incitement? Under the current situation there is no alternative but to impose restrictions on the mobility of those who incite as Salah does. Israeli law allows this restriction to be imposed. Democracy and freedom of expression must not be allowed to protect those who want to undermine democracy, a principle already approved by the Supreme Court in its ruling on the Al-Ard case 50 years ago (Al-Ard was an anti-Israel Arab NGO which was outlawed in 1964). Israel must convey an unequivocal message to the internal enemies out to destroy it: The State of Israel will not allow them to hide behind its democracy in order to destroy it from within. Democracy is not a suicide pact. Written in Hebrew for Arutz Sheva, translated by Rochel Sylvetsky, Senior Consultant and Op-ed Editor of Arutz Sheva English site.